The Therapist as Expert Witness? By: Stephen M. Raffle, M.D. In civil cases where emotional distress is alleged, it often occurs that the plaintiff's attorney designates the treater as his expert. Usually the argument is that the plaintiff's own therapist has spent many more hours with the plaintiff than the defense expert and therefore "knows" the plaintiff better. The treater often agrees with this reasoning. Therapists undertake therapy with the implicit understanding that the relationship is private and privileged under almost all circumstances. This enables the patient to divulge embarrassing or damaging information which he wouldn't want revealed. After the fact, how can the patient give an informed consent when he doesn't know what personal information will be divulged. Once the therapist is perceived as an advocate, I believe the therapist's impartiality and non-judgmental attitude is replaced with the perception of approval and advocacy. A therapeutic boundary is crossed. Therapy is damaged. Being an expert witness for one's patient does not further the therapy. The Hippocratic Oath "above all do not harm" is disregarded. Setting these reasons to the side, is the assumption true that a comprehensive structured forensic psychiatric exam including a review of all records relevant depositions, expert reports and psychological testing less reliable than a psychotherapy which is defined by the patient's transference, unstructured free association therapeutic process, and non-judgmental therapeutic attitude of the therapist where the therapeutic task is to help the patient understand emotional conflicts and resolve them. It is not far-fetched to imagine the therapist-expert developing opinions during discovery which might be damaging to the therapeutic process. He can't withdraw because doing so damages the therapy, he shouldn't lie because that damages his therapeutic impartiality, and he becomes the patient's advocate in the patient's mind which also introduces a non-therapeutic parameter into the therapy. Psychotherapy does not involve weighing all of the clinical facts and rendering a medical-legal opinion with a reasonable medical probability. It doesn't involve being an impartial evaluator who has no vested interest in the outcome of the case. Psychotherapy isn't about assuming a skeptical mind set in order to weigh the plaintiff's statements with other facts and reconcile the conflicted information within the context of the lawsuit. Undertaking a real, impartial forensic psychiatry evaluation is not therapeutic. The content of therapy is part of the basis of an expert opinion but there is much more to the evaluative process which is beyond the scope of therapy. Once the therapist crosses the line to expert, he can't go back. The bell cannot be unrung. DISCLAIMER: The information provided on this website and in this article do not constitute legal advice. Readers should consult with their own legal counsel for the most current information and to obtain professional legal advice before acting on any of the information presented. Stephen M. Raffle, M.D. is a Board Certified Forensic Psychiatrist with over 36 years of experience offering his expert opinion in Federal and State jurisdictions. 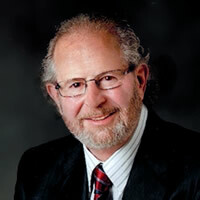 See Dr. Stephen Raffle's Profile on Experts.com.